Not many of these Brockwitz vases around. This 6 1/4-inch tall blue example sold at the 2015 Great Lakes convention auction for $210. Photo courtesy of Joan Doty. 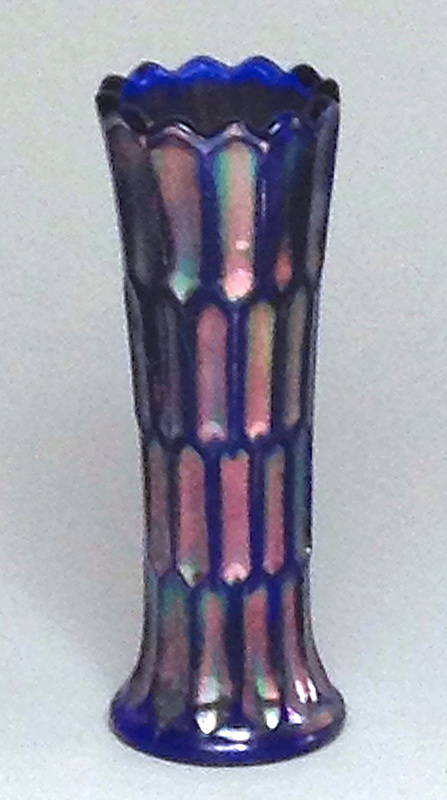 The Bond vase was part of Brockwitz's Boston pattern line. 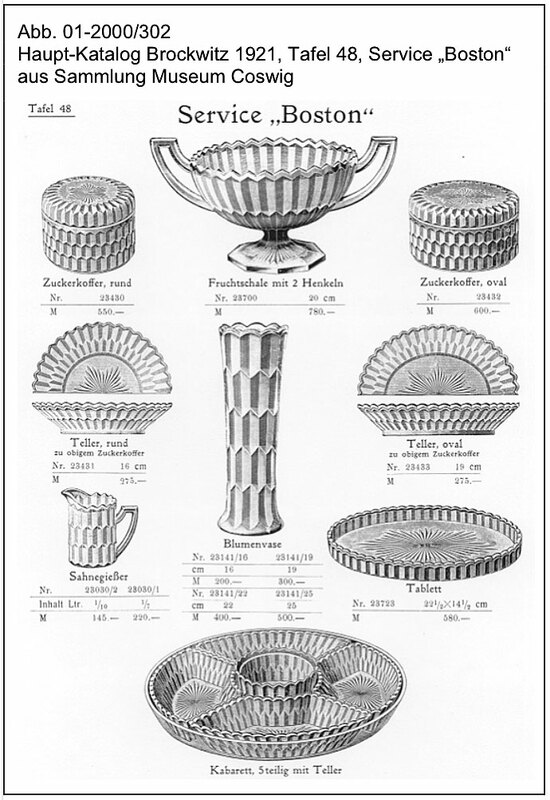 As this 1921 catalog page shows, the vase was produced in four sizes: 6.25, 7.5, 8.75, and almost 10 inches. So far only the 6.25-inch size has been found in carnival. The few that I know of are blue, although marigold has been reported.